Based on the popularity of our Late Night Dark Sky events and your feedback we are delighted to introduce additional late night events for the weekends closer to the full moon too. We have limited the number of guests to 25 spaces to ensure you have plenty of time with our experienced astronomers and maximise the opportunity for using our telescopes. 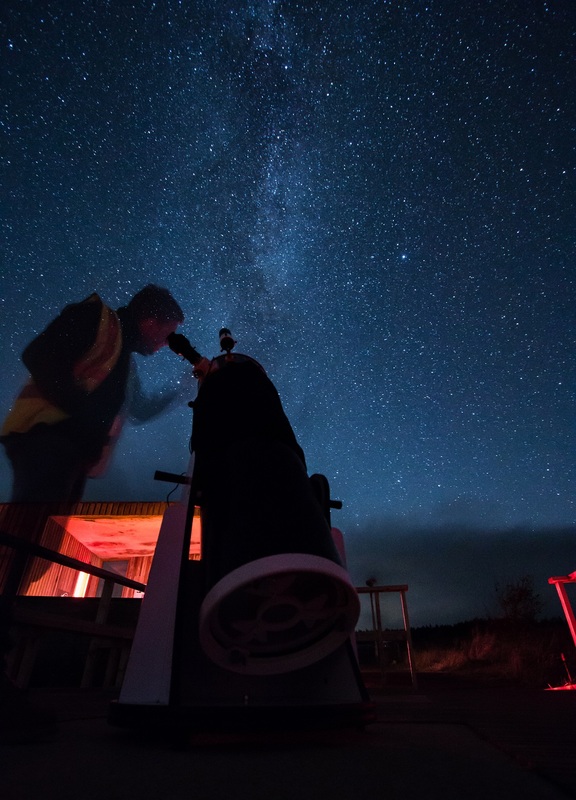 From our observation deck the heavens look astounding with the skies awash with stars overhead, in the heart of the Northumberland Dark Sky Park. On nights when the moon is visible, we will see craters and an eerie landscape as the lunar light creeps into the dark sky park. Weather permitting, we'll have our comfy two-seater 'moon chairs' out on the deck with blankets to snuggle up under what must be the most inspiring and romantic views of the moon, star fields and clusters anywhere in England. Within the observatory itself we will reveal distant objects through our large aperture telescopes including planets, star clusters and nebulae - all with the expert guidance of our friendly and knowledgeable astronomy team. When the weather prevents observations, you will still get to see all our equipment up close and be shown how it works with advice on astronomy from our expert team. You will be shown the wonders of the Universe on our large screen while kept cosy with the log-burning stove and a hot chocolate will be served during the evening. Please note, during the summer nights, the sky does not reach astronomical darkness, however there are many breath-taking sights on offer. Spectacular Noctilucent Clouds which are a summer phenomenon, regular views of passing satellites and best of all… the planets! The ticket price for this event reflects the cost of hosting these bespoke events and, however the evening goes, we will strive to give you a first class experience at the UK's premier public observatory!